Sunderbans National Park became tiger reserve in 1973 and declared the national park in 1978. It is also the UNESCO World Heritage Site. Located on the delta of two grand rivers of India, Ganges and Brahmaputra. 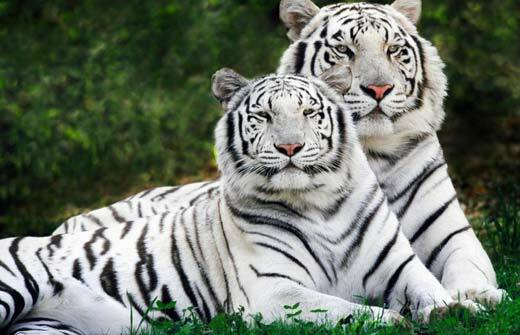 Sunderbans National Park was declared as a tiger reserve under Project Tiger in 1973 by Government of India and was given the status of the national park in 1978. It is one of the UNESCO World Heritage Sites too. The huge marshy delta of two great Indian rivers as Ganges and Brahmaputra expands over areas, which include the mangrove forest, marsh land and jungle island all mixed in a system of small rivers and also some streams. Sunderbans is the largest mangrove forest in the world. The name Sunderbans has come from Sundari plants, which were in a large quantity once in this region. The sacred Ganges River and Brahmaputra form 54 island’s alluvial archipelago, that is watered by the great Bay of Bengal. The famous islands like Sandeshkali, Goasaba and Basanti create the northern boundary of the national park and in the southern side is the sea. In the western part are the rivers as Matla and Bidya whereas the eastern side is international border of Bangladesh. In Sunderbans, the population of the tigers is about 250. 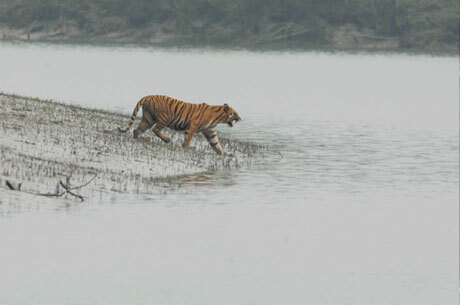 The Royal Bengal Tigers in the Sunderbans national park have created an unique feature to swim in the salty waters, that has made them quite popular world over due to their man-eating behavior. The few other wildlife of Sunderbans are Fishing Camp, Common Grey Mongoose, Jungle Cat, Wild boar, flying fox, fox, chital, macaques and Pangolin. The important birds found here are Brahmini Ducks, Fishing Eagles, White Bellied Sea Eagles, Woodpeckers, Kingfishers, Red Jungle Fowls, Brahmini Kite, Spotted Doves, Jungle Crow, Gray Herons, Jungle Babblers, Rose Ringed Parakeets & Wood Sandpipers. Other important bird includes Paradise Flycatchers, Caspian Terns, Green Pigeons, Large Egrets, Pheasant Tailed Jacanas, Pariah Kites, Herring Gulls, Common Mynahs, Spotted Billed Pelicans, Eastern Knots, Little Stints, Golden Plovers, Open Billed Storks, Swamp Partridges, Cotton Teals, Pintails, Black-Tailed Godwits, Cormorants, Night Herons, Peregrine falcons, White Eyed Pochards, Whimprels, Common Snipes, Seagulls, Coots and Water Hens. These wide range of rare bird spices makes Sundarbans National Park an Ideal destination for a bird watching tour in India. Sunderbans is a proud habitant of numerous reptiles such as Estuarine Crocodiles, sea snakes, King Cobras, Dog Faced Water Snakes, Monitor Lizards, rat Snakes, Salvator Lizards, Russels Vipers, Mouse Ghekos, Olive Ridley turtles, Hard Shelled Batgun Terrapins, Chameleons, Green Turtles, Hawks Bill Turtles, Curviers, Chequered Killbacks and Pythons. Sajnakhali Sanctuary is very famous for the healthy avian inhabitants and called as a part of Sunderbans National Park. The huge population of birds in Sajnakhali give the good feeling to the eyes of bird watchers. 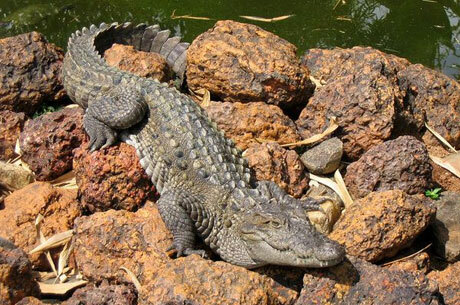 Bhagabatpur has hatchery of the largest estuarine crocodiles. 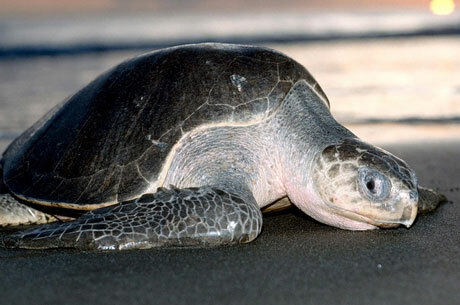 Kanak is among of the finest destinations to view the nesting of the Olive Ridley Turtles. Haliday Island is called as the only home of Barking Dear in whole India. Piyali is known as gateway to Sunderbans National Park and is 72 KMS far from the capital city of West Bengal Kolkata by road. It is closely situated to Sajnakhali, Netidhopani and Sudhanyakhali through water route. A quite small river famous as Piyali flows by the eye-catching green paddy fields and in the end merges with mighty Matla River. Beautiful Piyali delta creates a spontaneous vacation place for the tourists. En-route to Sunderbans, don’t forget to visit Kaikhali Island – because on this beautiful Island, the nature is at its best and entirely colorful. It is very famous as one of the finest picnic destinations in this area. The ideal time to visit Sunderbans is from October to March. Air: Kolkata airport is located 112 KMS away from the park. Rail: Canning railway station is only 48 KMS far. Road: Kolkata for Namkhana (105 KMS), Sonakhali (100 KMS), Raidighi (76 KMS), Canning (64 KMS) and Najat (92 KMS), these destinations are near to Sunderbans National park and are well connected to the popular waterways going to Sundarbans. For more details about sunderban national park you can explore Wikipedia.